Registration for the Fitness Warrior Challenge is now closed. Thanks to all who participated! Sign-up for FREE using the form below. 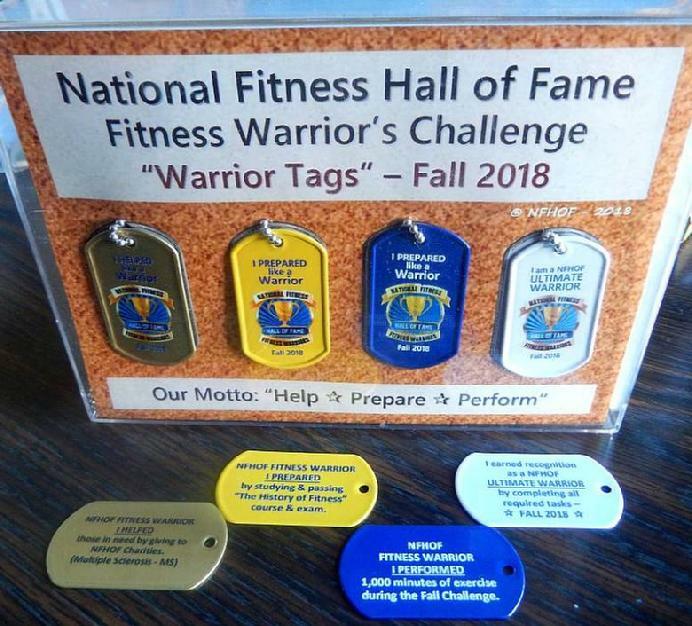 Inspire Others & earn up to 4 Warrior Tags! Warriors: Join for FREE by completing the form to the left. Afterwards you will receive an email with detailed instructions, a printable exercise log to chart your training minutes and the new eBook, “The History of Fitness” to use to pass your exam. You Earn the HELPED Tag by donating ($20 + s&h) to NFHOF Charities. After you Earn the 3 Tags (PREPARE, PERFORM & HELPED) you will be recognized as a NFHOF ULTIMATE WARROR for 2018 and be awarded the ULTIMATE WARRIOR Tag. You will also be recognized in our quarterly e-News-Magazine. Sign-up today! 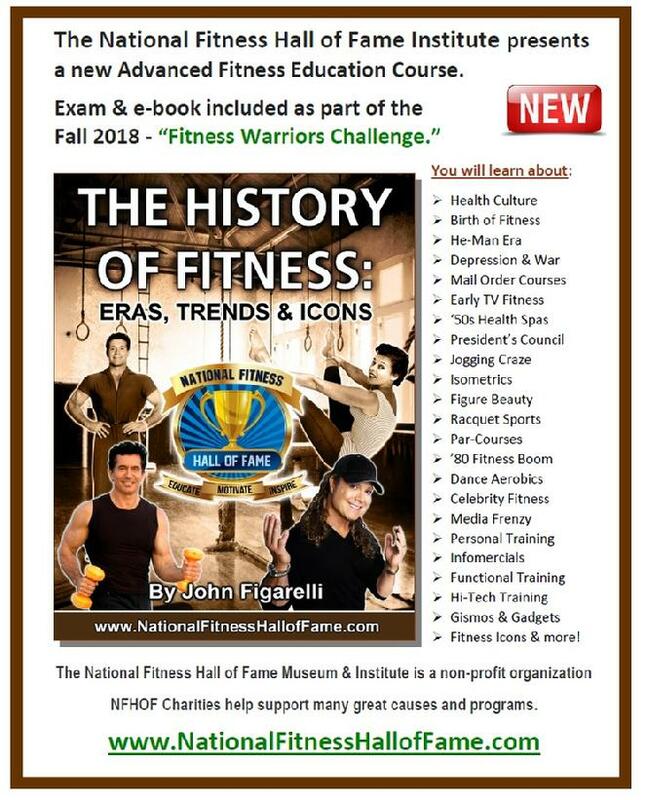 I know you will stay motived to improve your fitness through regular exercise this fall, expand your mind by learning more about fitness history and enrich your soul by inspiring & helping others! You will receive this 48-page, color eBook after you sign-up so you can earn your PREPARED Warrior Tag.